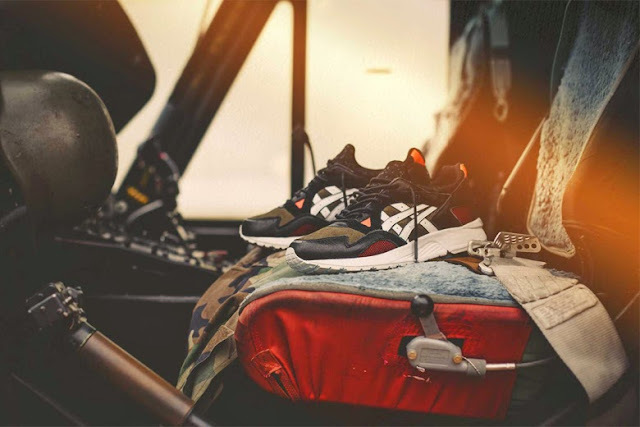 Australian shop High and Lows has again teamed up with ASICS for a new collaborative release of the GEL-Lyte V. The “Medic” draws inspiration from fatigues and uniforms worn by military medics, featuring a black and olive perforated suede leather upper, with pops of white and red paying homage to the medical cross. Finishing details include 3M striping, a tonal splatter print on the tongue and mesh overlays that are a nod to traditional army netting. The High and Lows x ASICS GEL-Lyte V “Medic” will go on sale May 16 with a price tag of $210 AUD (approximately $170 USD).